Stories have the ability to unite or divide. They can build walls or break them down. Stories can provide a voice, and as history has shown us, stories can also silence them. Uncertain times are upon us, there’s no doubting that, but it’s time to unite what many consider a divided world. We have inherited this world, and regardless of where you stand on politics we have the opportunity to repair what is broken, and that’s a world united on a shared future. A world united is a world built on an idea that drives progress; stories. Throughout history, storytelling has proven to be the instrument of diplomacy – when wielded it can bring light to shared values, spark discussion, and uncover commonalities. It’s not just stories that the world needs, it’s your stories – a perspective that matters more than ever. The world doesn’t just need your stories alone, it needs to listen. The stories the world needs to hear are your points and counterpoints. Whether you are conservative, liberal, black, white, the stories of your experiences create perspective, and create empathy. A united world that listens to each other is one that sees past differences and unites in commonalities. Listening sparks discussion, not abandon them, and the world needs to remember how to listen. The more we listen, the more we can discuss, and through discussion is how we get to the truth. The world doesn’t just need your stories alone, it needs truth. Truth to gain perspective into others lives, what they care about, and what matters to them. Truth to shed light on those historically disenfranchised, and truth to give a voice to those flown over for decades. The world has created a generation reliant upon others to deliver truths. This reliance has circumvented the act of listening, and has redefined participation as the act of consuming. We must no longer consume but rather participate and engage. We are a culture of storytellers, and we learn by listening — it’s time to stop consuming and start engaging in discussion. The world doesn’t just need your stories alone, it needs discussion. We’ve lost our way when it comes to our ability to debate points of view. In order for the world to move forward, we must operate on progress rather than rhetoric — we must listen to your true stories, and by doing so we need actual discussion rather than discredit. Somewhere along the line our ability to discuss was set aside for internalization, an act which many argue caused the divide in our society. We have become so accustomed to dismissing ideas without considering perspective, and without empathy. Discussion and debate is how we gain perspective, and how we develop empathy for your story. It’s time to tell your story. 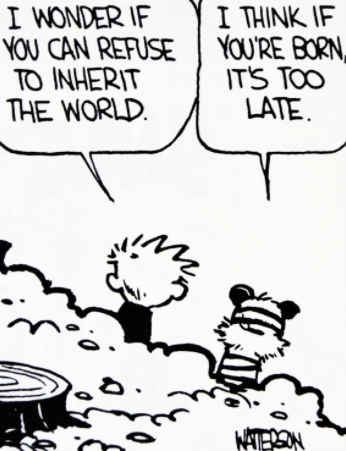 No one chose to inherit the future, but it’s our time to commit to progress. Progress that’s not representative of one party ideals or another, but progress for humanity. We can bridge divides through the stories of your experiences, struggles, and ambitions — it’s through these stories of truth we can build a future of progress by uncovering commonalities. The future is at a crossroads, there’s no doubting that, but the world more than ever needs to unite through each others stories. Millions of people couldn’t sleep the night of November 8th, 2016, and I was one of them. Instead of sleeping I decided to write this but never finished. After speaking with my friend Dex Torricke-Barton I realized it should be completed. That stories do matter, and the way we can push forward is to not just tell stories, but to listen to them, to bring light to truth, and engage in discussion. Stories will be key to mending the divide that stands between us. I strongly believe that the more we listen to the stories we tell, the more we’ll realize commonalities outweigh our differences. We have the opportunity to shape the stories of the future, and to save the world we must unite it. I encourage you to join the cause at onwards.world. @elyssa’s sidekick and ezra's dad. head of marketing @hillcity previously @airbnb/@snapchat/@nike/@facebook. thoughts my own.